They say the way to a man's heart is through his stomach and we can understand why! 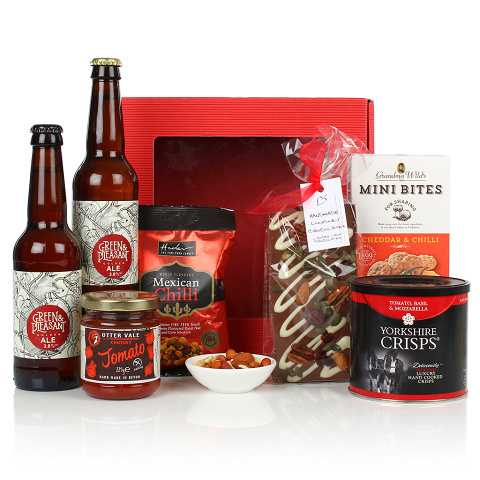 This attractive red gift box is simply bursting with food that will tick all the boxes! From The Hinder Mexican chili flavoured roast nut and corn selection to the Grandma Wild's mini cheddar and chili bites for sharing, all washed down with two bottled of Green & Pleasant Ale, this gift is guaranteed to delight.